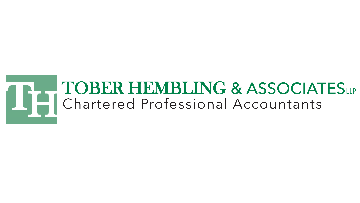 Tober Hembling & Associates LLP is a well-established partnership of Chartered Professional Accountants in Spruce Grove, Alberta. We are a medium sized, full service CPA firm with a wide range of experience and a client centered approach. We are committed to assisting our clients in meeting their financial objectives by providing superior service and advice within our fundamental core values of accountability, integrity, balanced lifestyle and community. We encourage professional development at all levels and maintain high standards of practice in business, accounting, technology, environment and culture. We are looking for a designated accountant to join our growing team who is ready to step up and thrive in a very busy practice. With our diverse client base, we provide the opportunity to work in a professional atmosphere with clients in a variety of industries. This is a full time position offering a competitive salary. Tober Hembling & Associates LLP offers a competitive wage package and encourages maintaining a positive work/life balance. Applicants may reply to this ad with a detailed resume and cover letter.